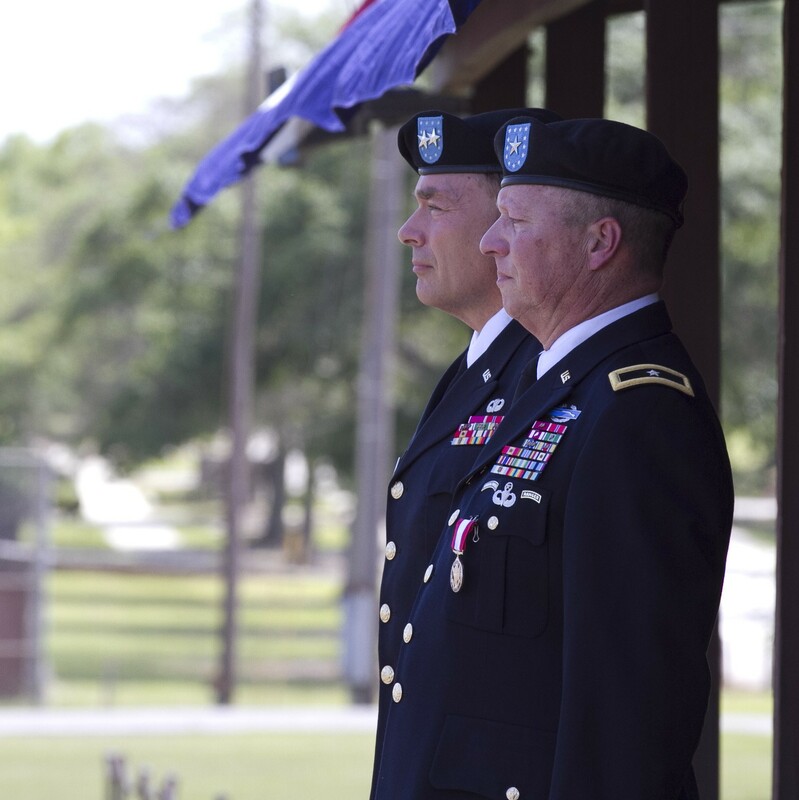 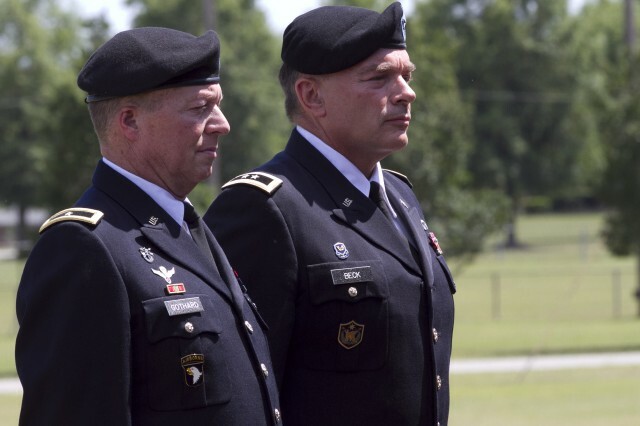 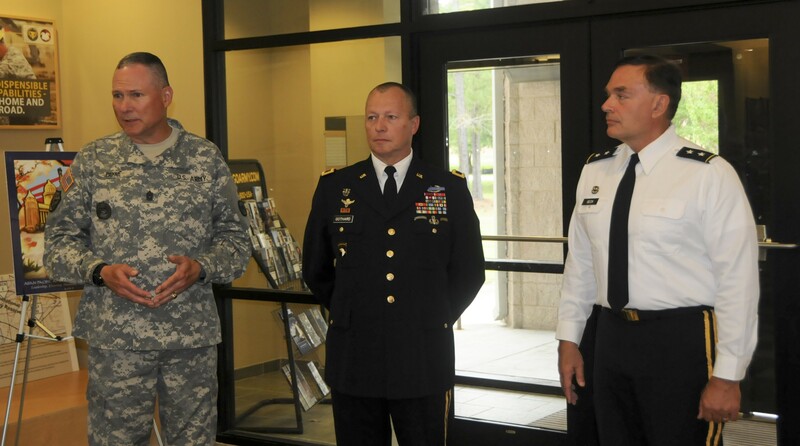 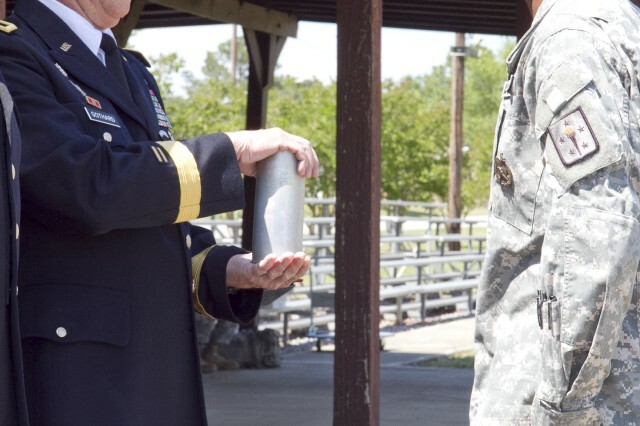 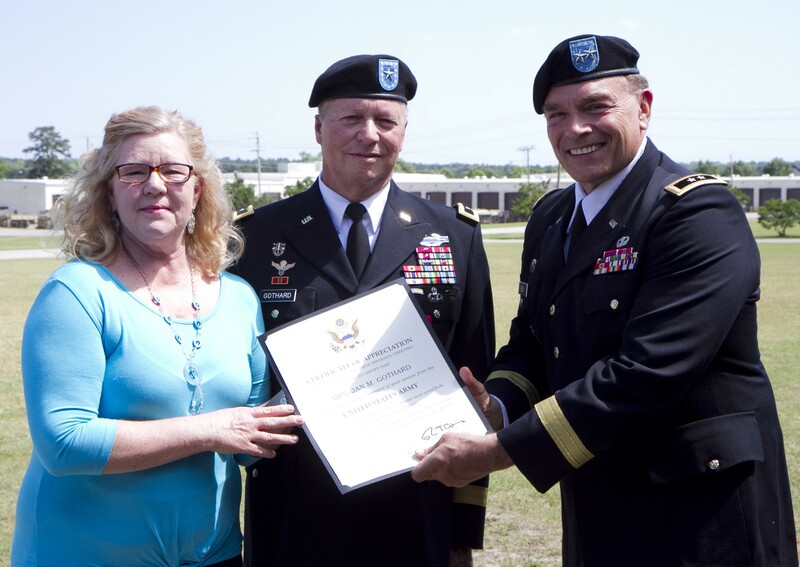 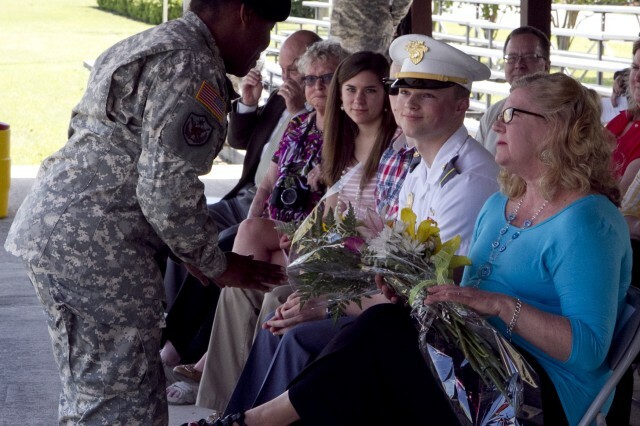 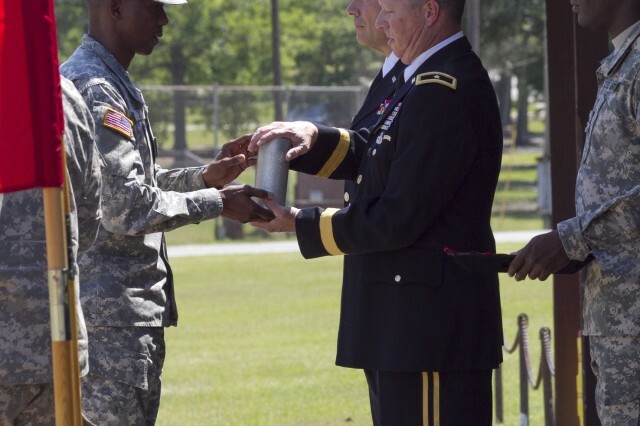 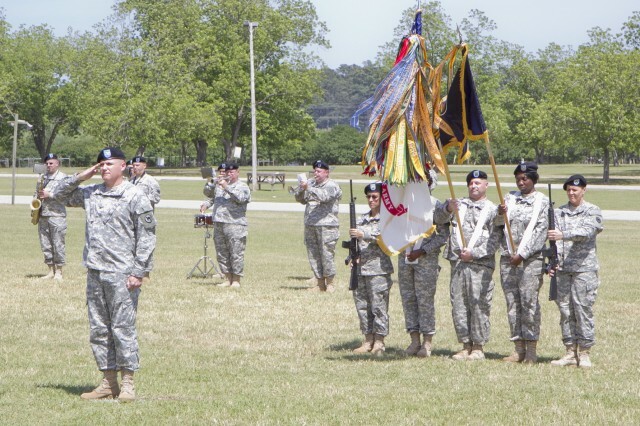 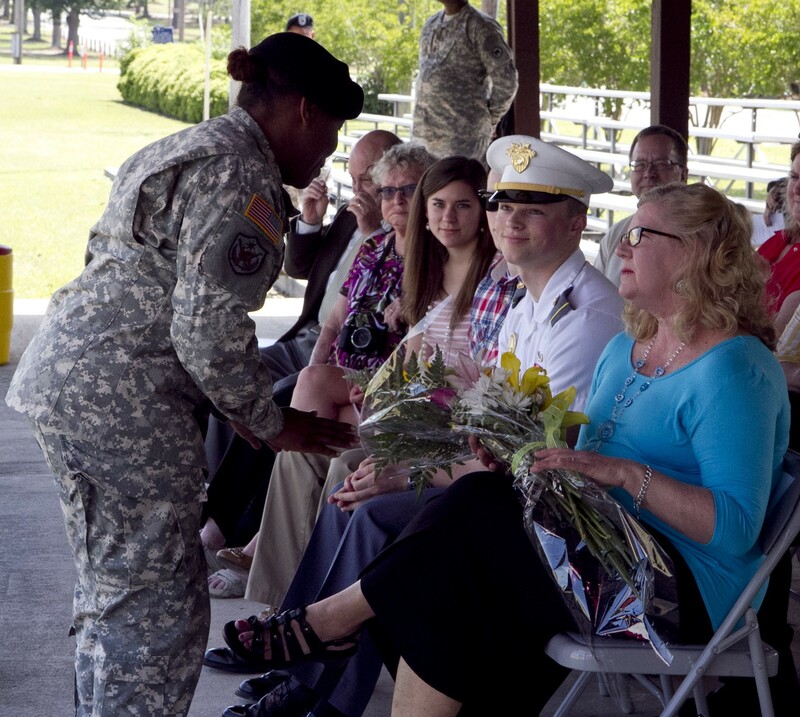 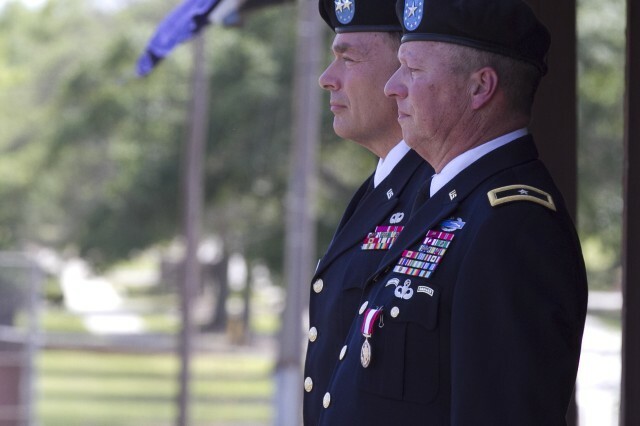 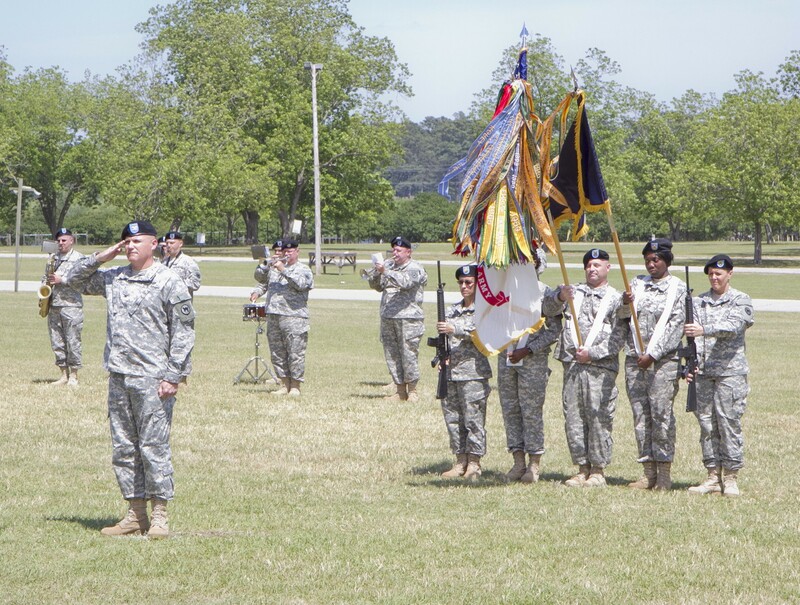 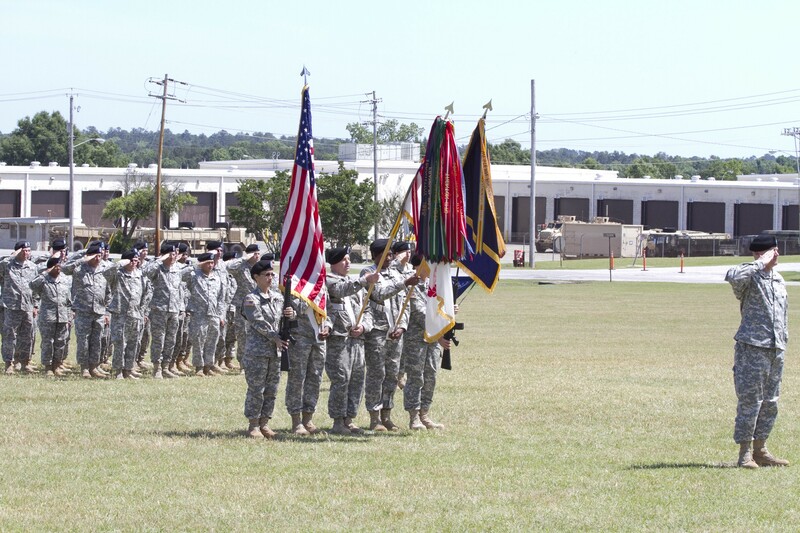 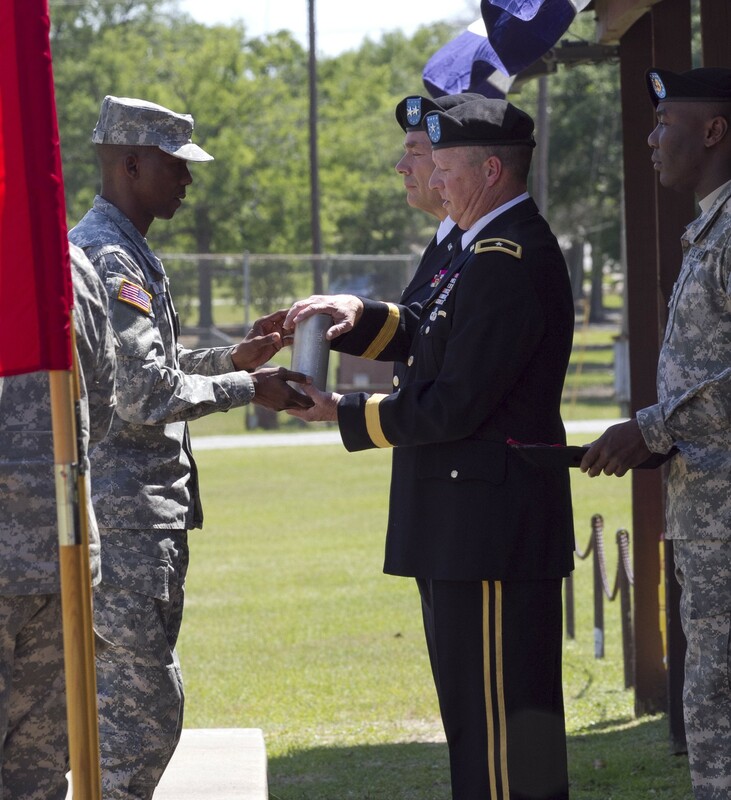 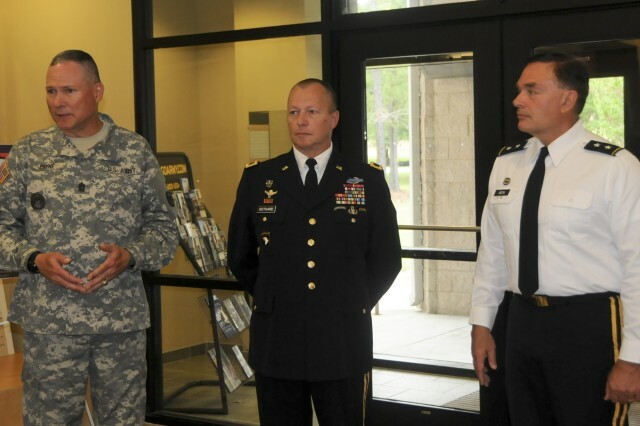 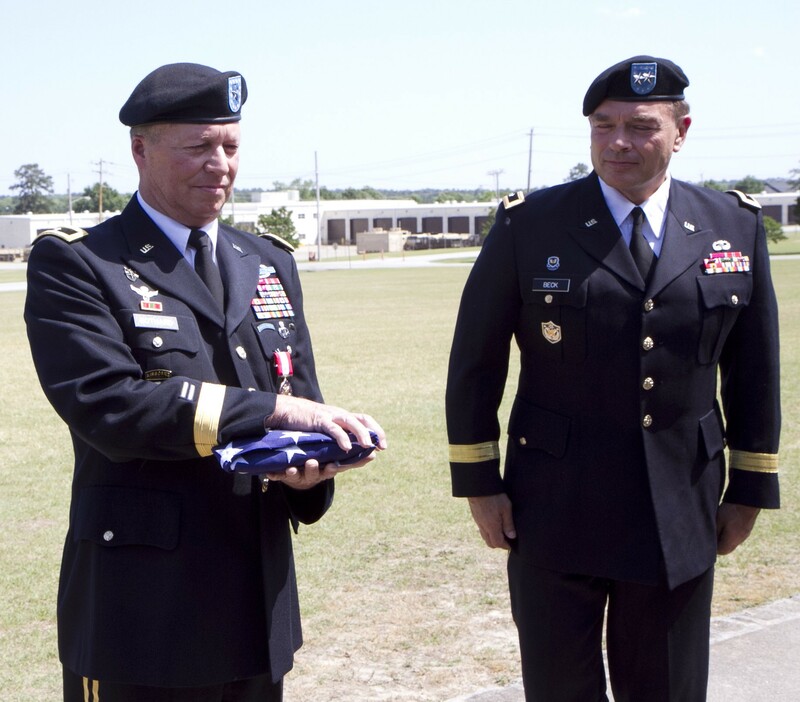 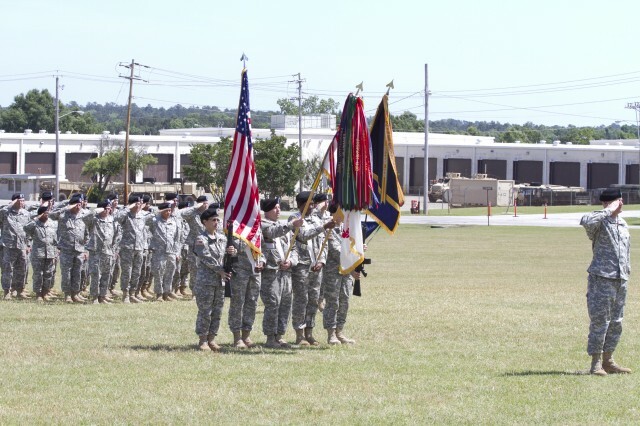 FORT JACKSON, S.C. -- The 81st Regional Support Command hosted a retirement ceremony for Brig. 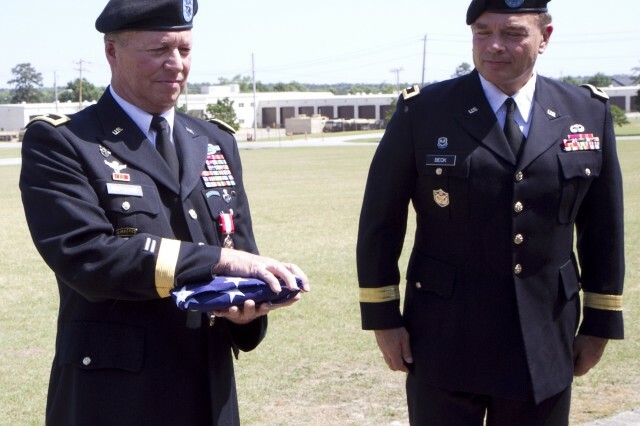 Gen. William Gothard at Darby Field on Fort Jackson, May 17. 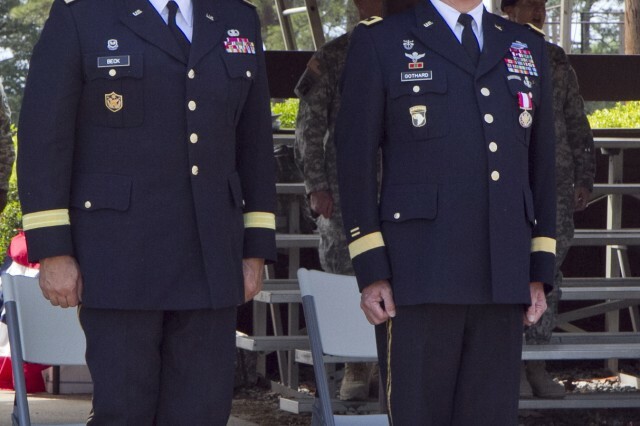 "Brig. 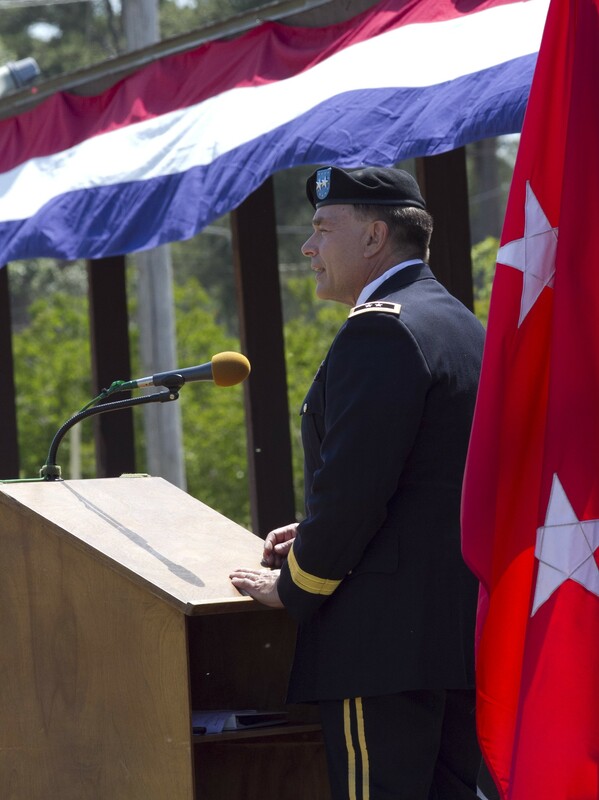 Gen. Gothard has served our Army and nation with great distinction over the past 36 years and played a central role in the transformation of the Army Reserve from a strategic reserve into an operational force," said the 81st RSC commanding general, Maj. Gen. Gill Beck, who hosted the ceremony. 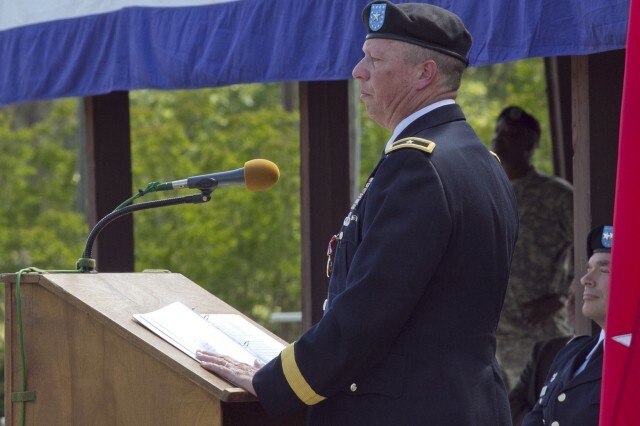 "His legacy will live on the hundreds of Army Reserve leaders he has developed and inspired." 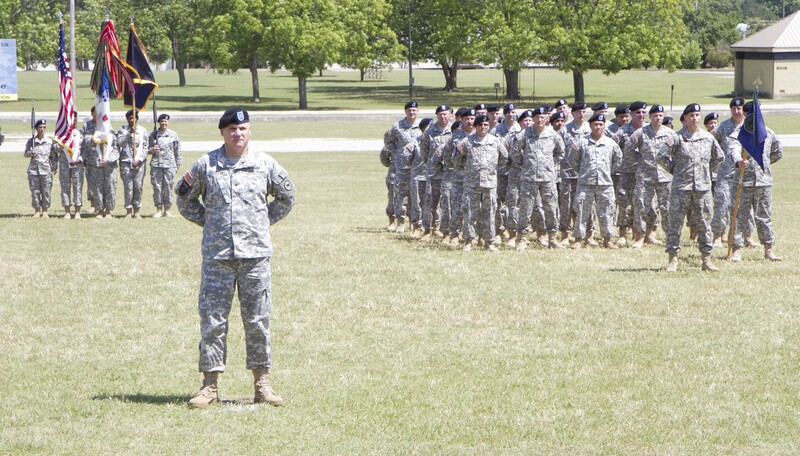 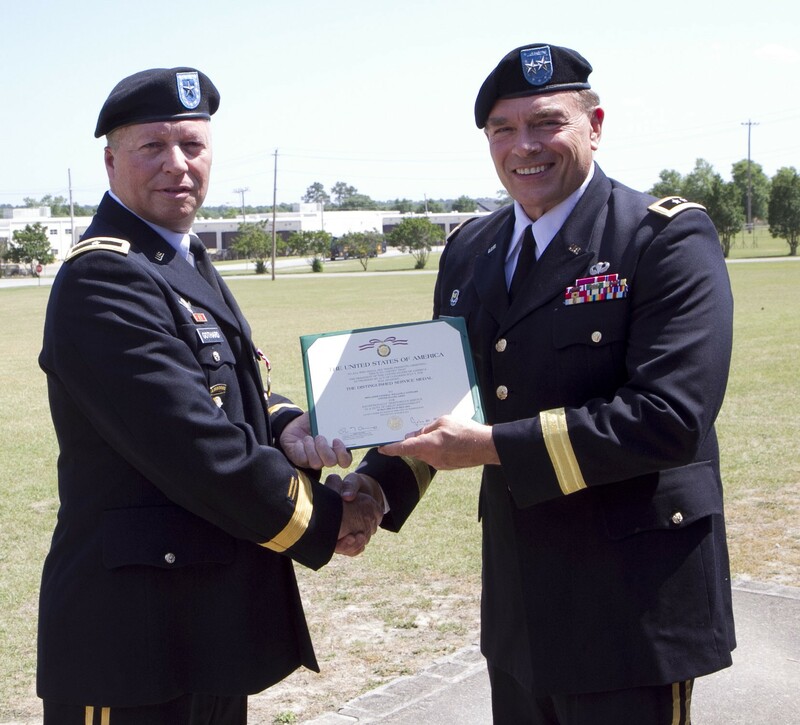 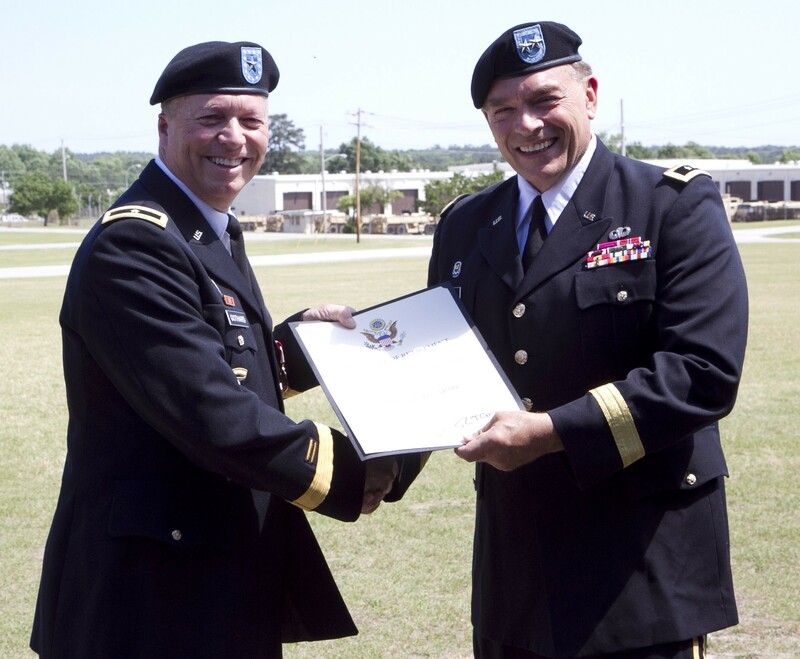 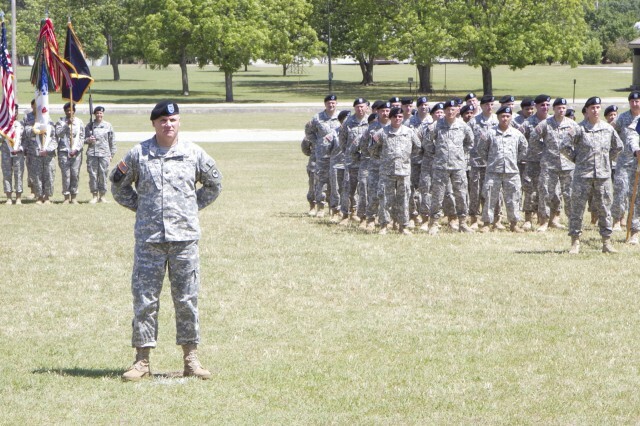 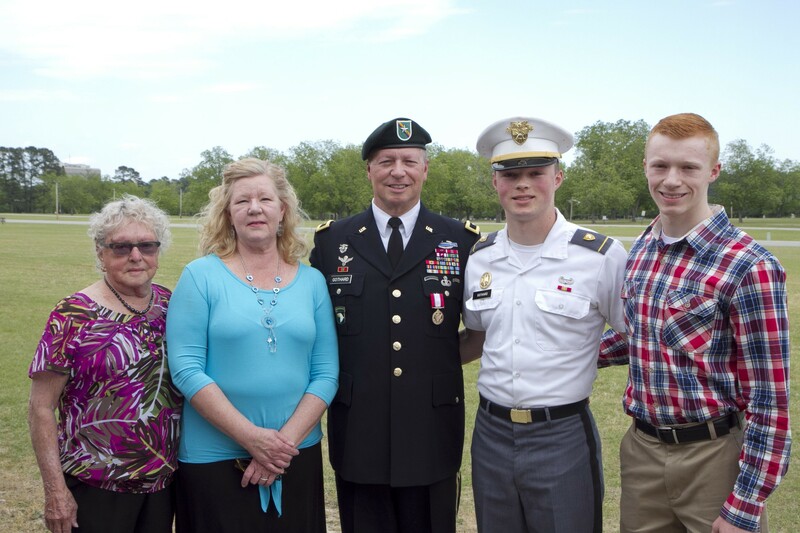 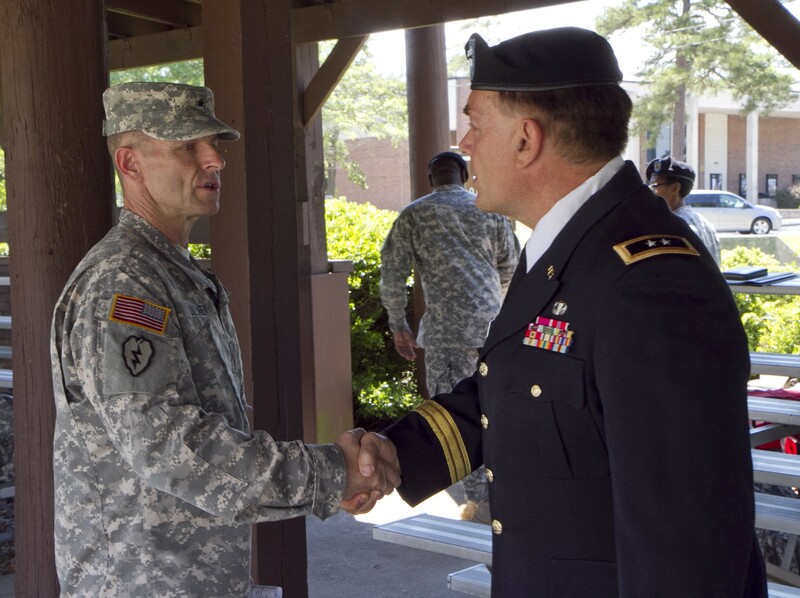 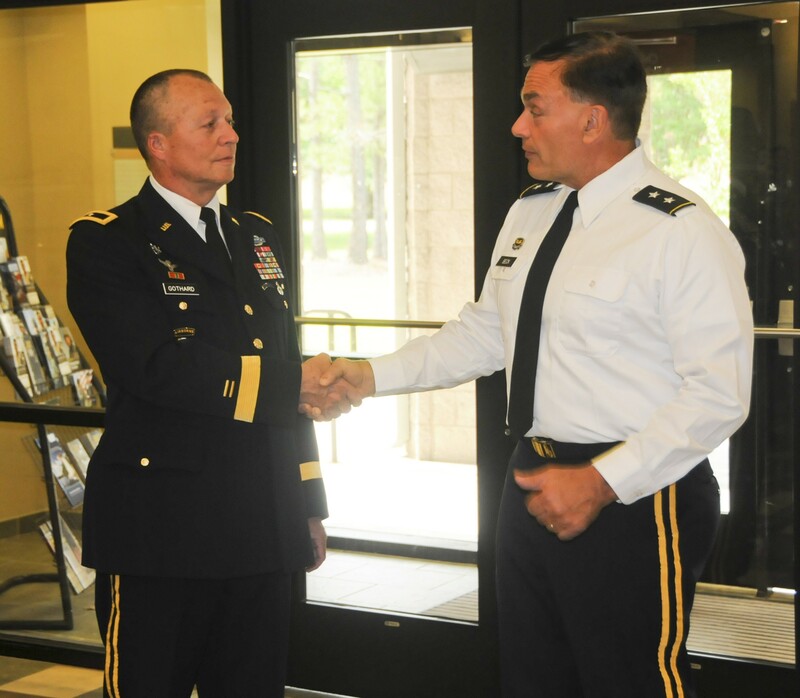 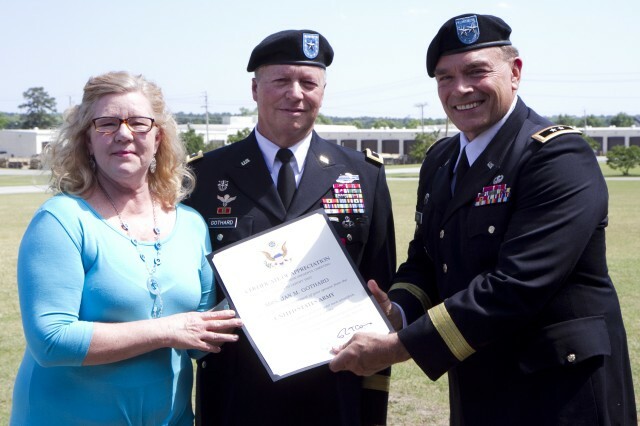 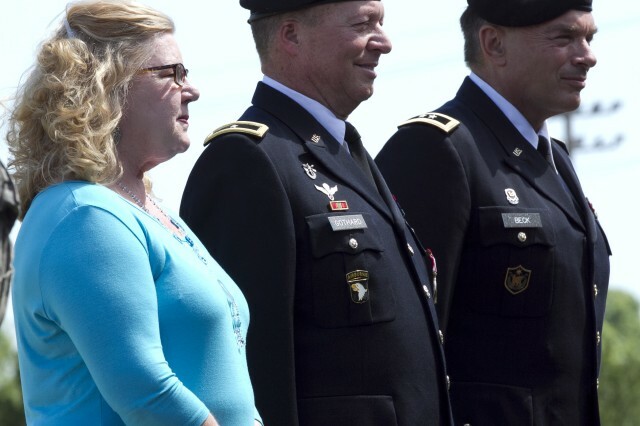 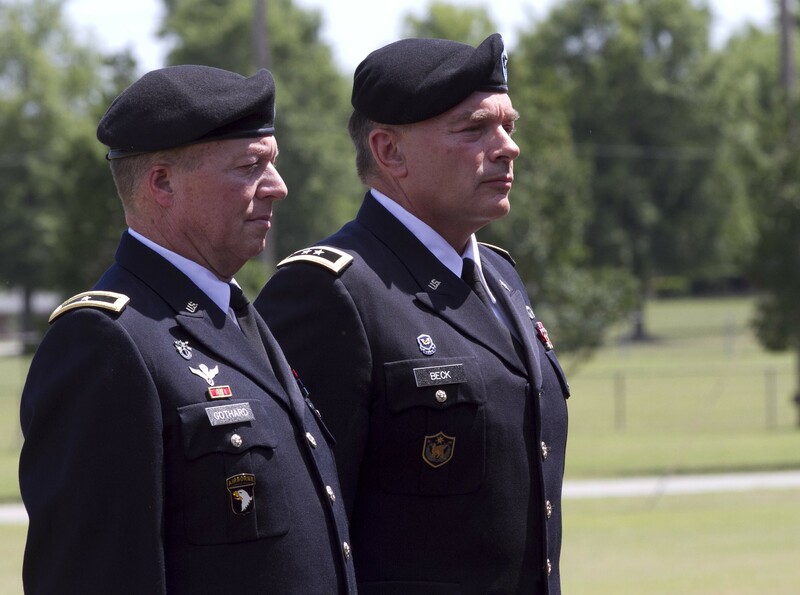 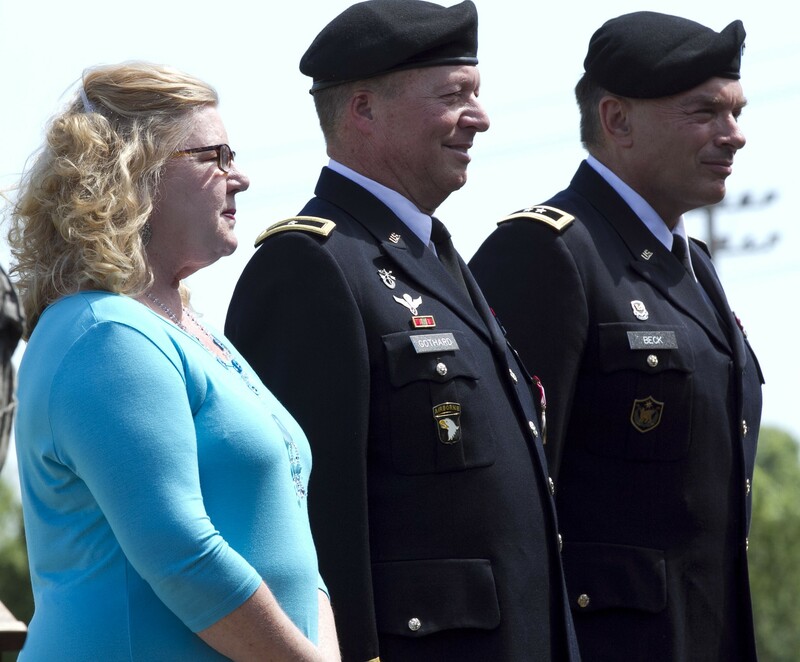 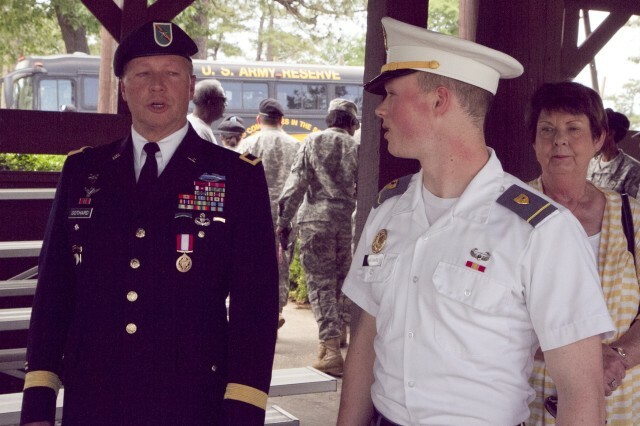 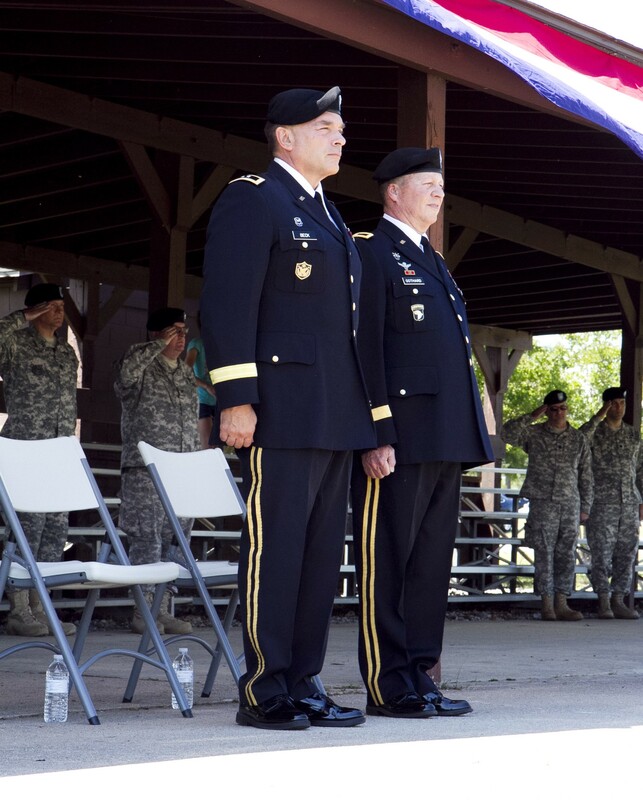 Gothard finishes his military career as the 81st RSC deputy commanding general. 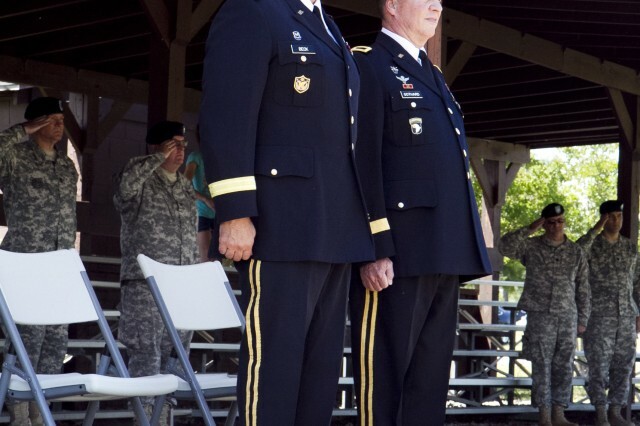 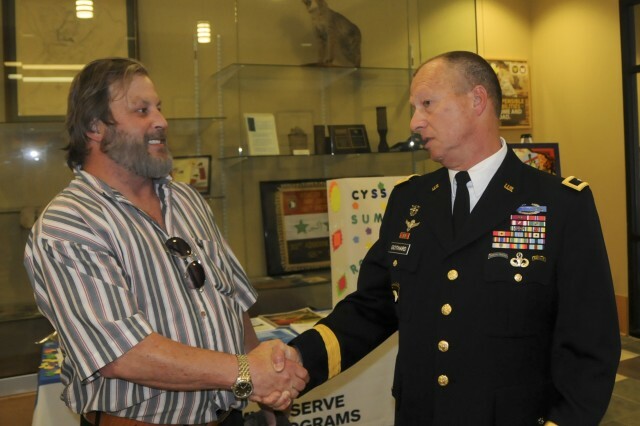 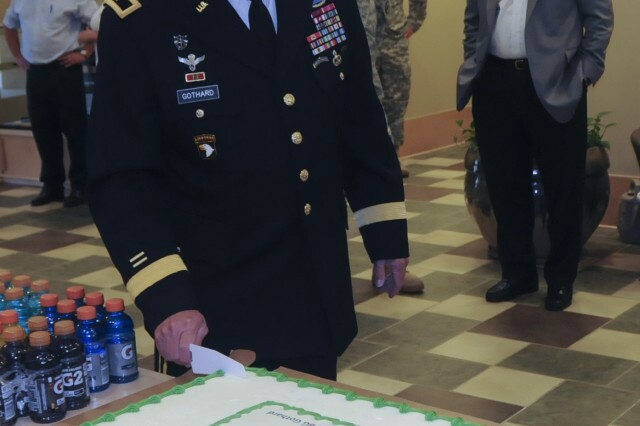 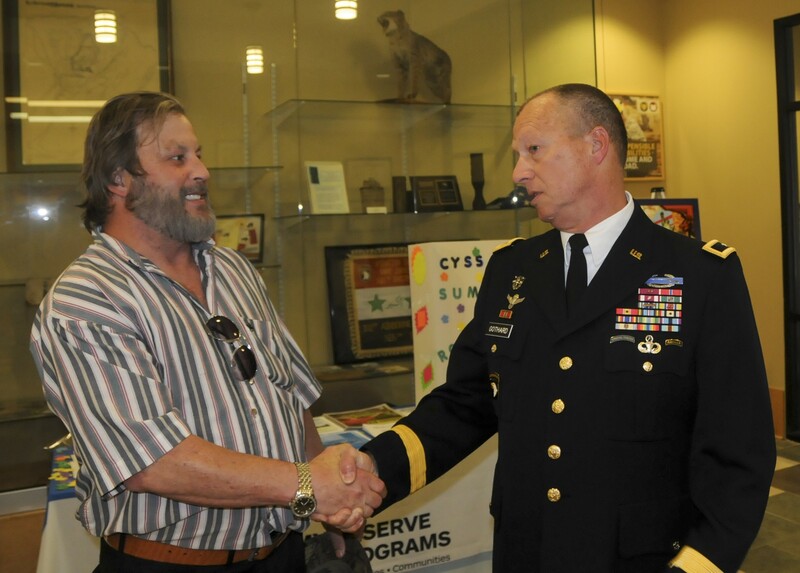 He retires with 36 years of Army service, spending the last three years in his final position. 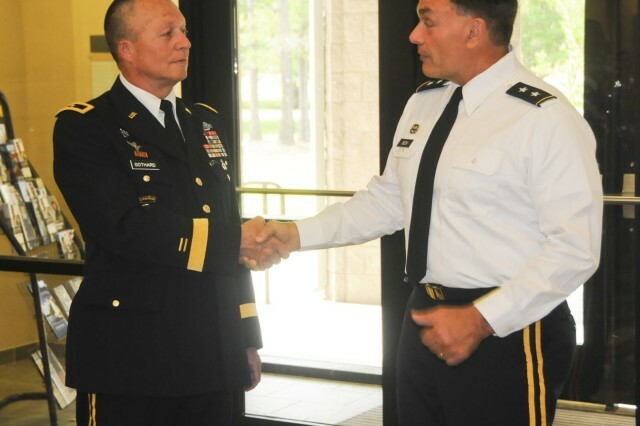 He was selected for promotion to brigadier general and command of the 353rd Civil Affairs Command in 2007. 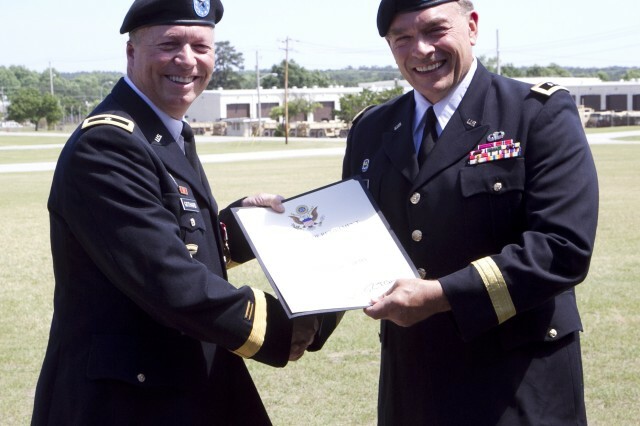 Other past assignments include serving in the Republic of Panama with the 7th Special Forces Group (Airborne) as a detachment commander, company commander and assistant operations officer from 2000 to 2002, and as the first deputy commanding general (Support) and Chief of Staff for United States Army Reserve in 2010. 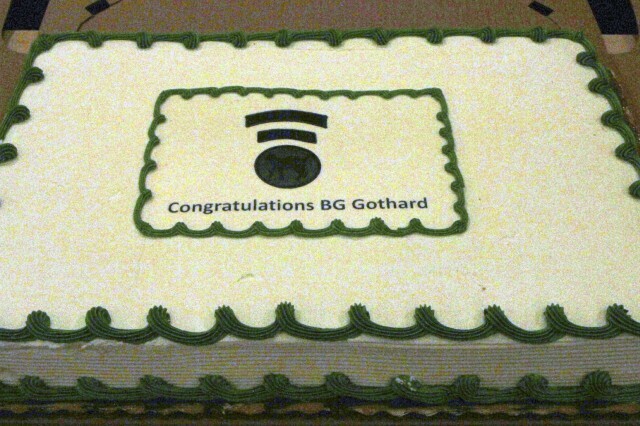 A portion of Gothard's speech include a biblical passage from Ecclesiastes, made famous in a song entitled, "Turn, Turn, Turn." 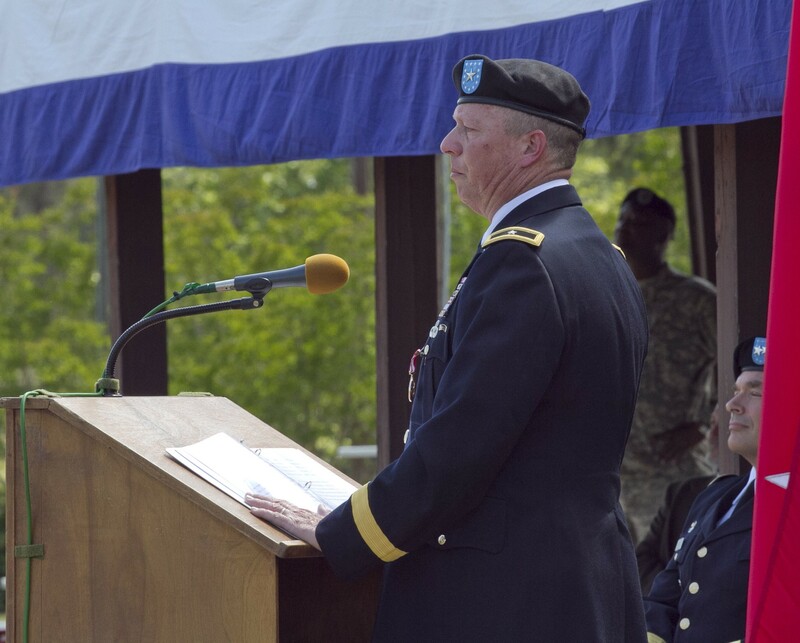 "'To everything there is a season,'" he read. 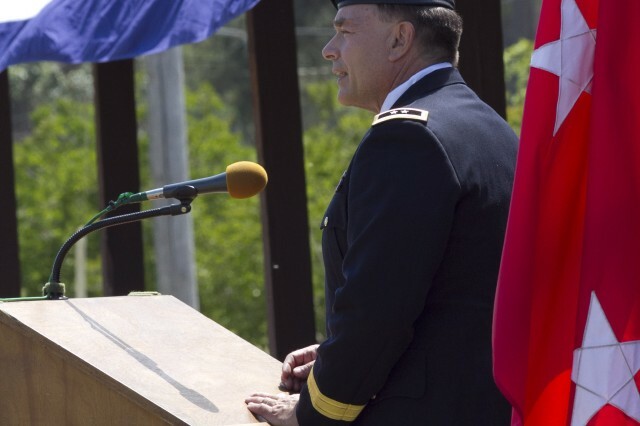 "'A time for war and a time for peace.' 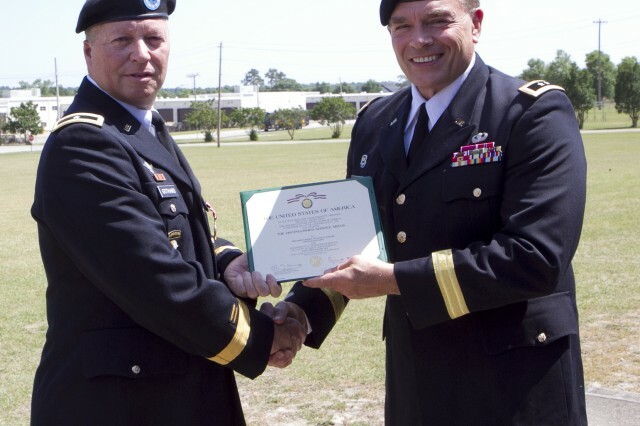 Today my season has run, it is now my time for peace." 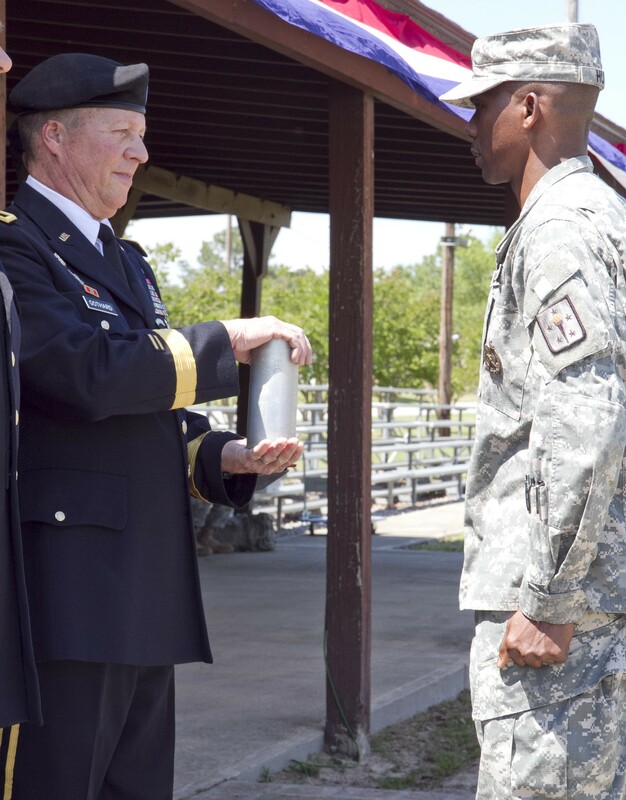 Gothard referred to the Soldiers present bedrock of the nation and charged them to be vigilant caretakers of the institution of the Profession of Arms. 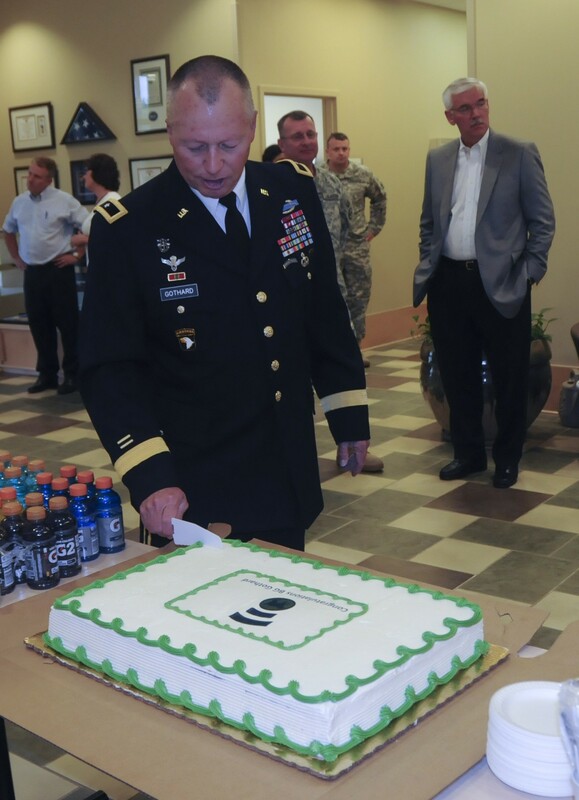 Gothard's service to the Army will continue in his civilian capacity as science and technology manager for the Science and Technology Division of Army Special Operations Command at Fort. 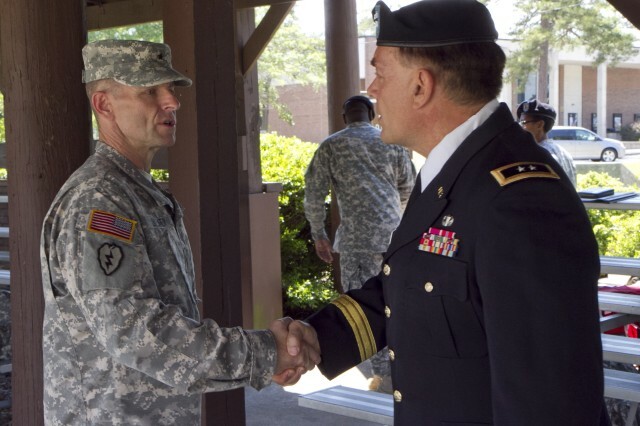 Bragg, N.C.
"Now the reconnaissance is completed," he concluded. 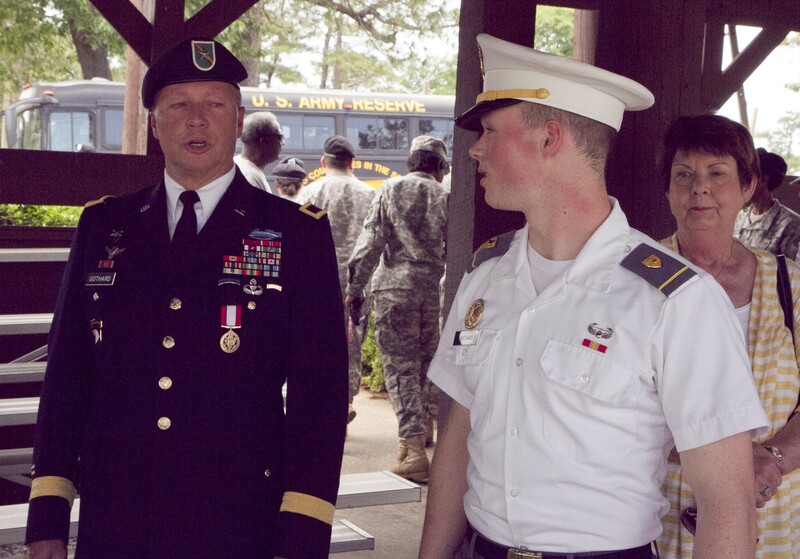 "Just ahead is a fork in the trail where your mission and mine part ways."